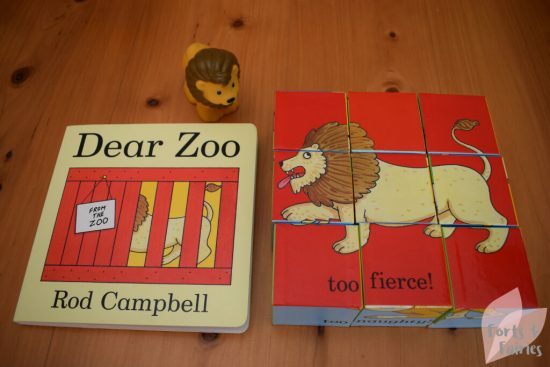 Dear Zoo is a popular lift-the-flap book from Rod Campbell that has been entertaining toddlers since it first hit book shelves in 1982. This lovely set includes the book as well as puzzle blocks to make the animals from the story, all packaged in a gift box. Both of my children enjoyed the Dear Zoo story, it’s a fun tale about a child who writes to the zoo for a pet. 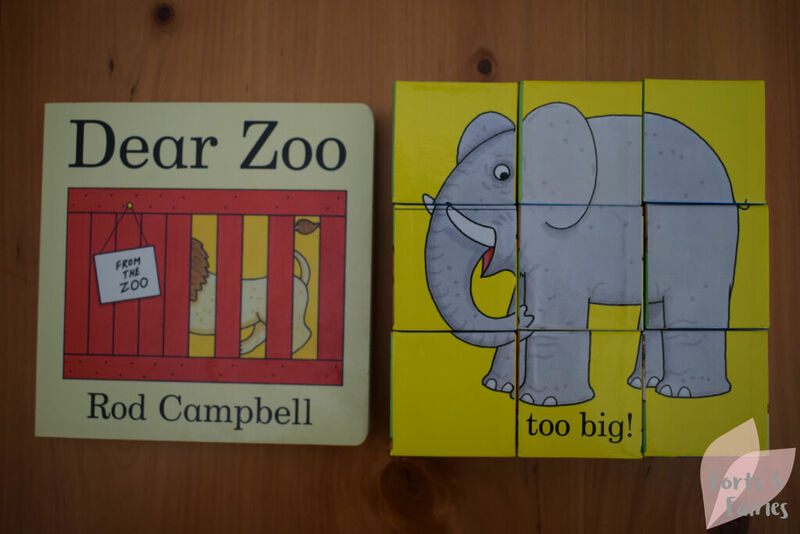 The zoo sends a series of animals, each animal hidden within different crates and baskets, with just a clue given as to who is inside. It’s a funny story and your kids will love the interactive element introduced by the lift-the-flap on each page and guessing who is hiding underneath. 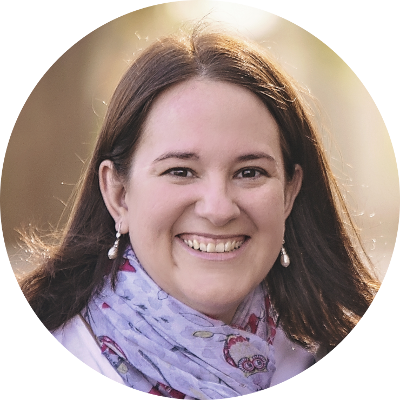 Each animal, however, isn’t suitable and they must be returned before another one is sent, with the last one being discovered to be the perfect pet. 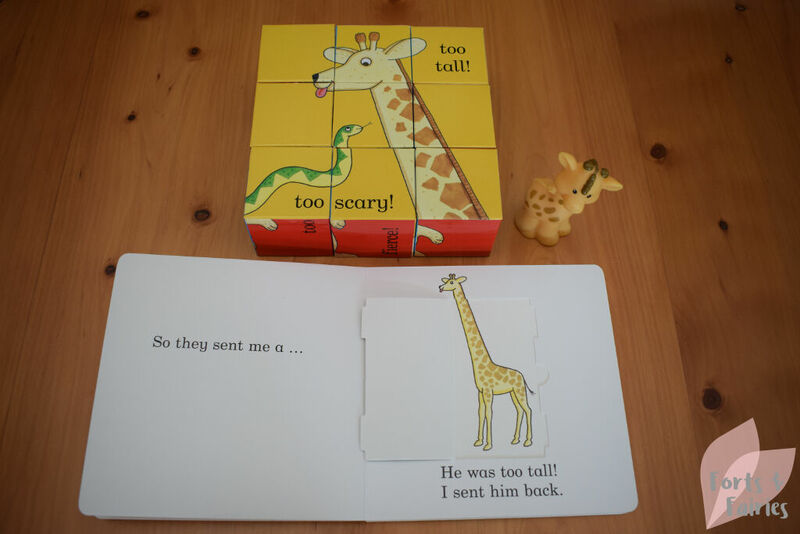 Children will learn about the giraffe who is too tall, the lion who is too fierce, the monkey who is too naughty and more. It’s a board book so is safe in the hands of your little ones, although you should keep an eye on the tabs since these could be damaged if they are heavy-handed. 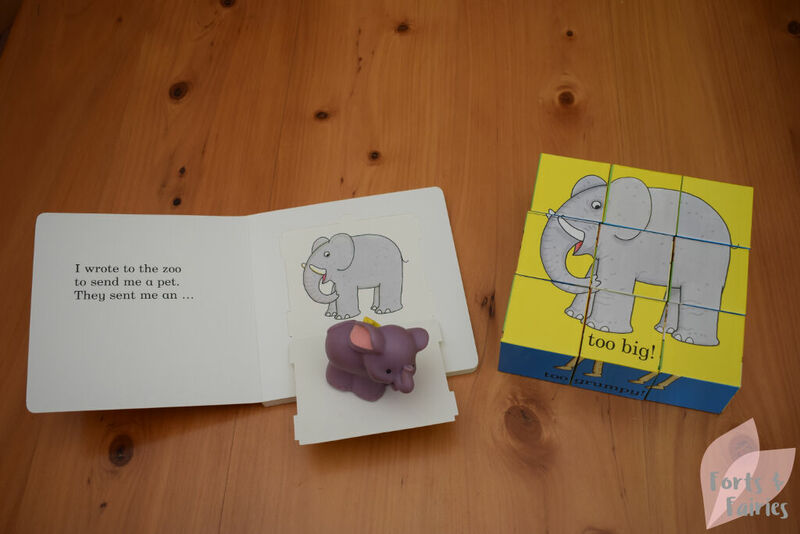 The nine puzzle blocks are as bright and bold as the illustrations in the book, and you’ll be able to help them build the six different puzzles which feature all the animals from the story. Each of the picture puzzles are colour co-ordinated which will help children to build them, for example the lion is on a red background while the camel is on a blue background. 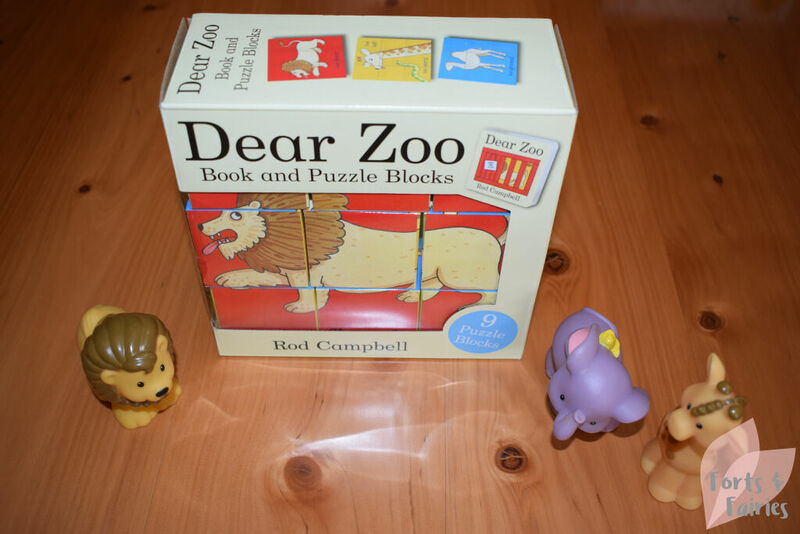 Dear Zoo Book and Puzzle Blocks is a fun gift set that any young child would be happy to receive. Having the puzzle blocks tie in with the story will add another element to storytime and serve to build more of their skills. It is available at a recommended retail price of R265 from bookstores and online retailers. Thanks to Pan Macmillan for keeping our love of the classics alive!